The 2018 football season begins tonight, but there is still time for fantasy football players to make adjustments to their lineups before kickoff. 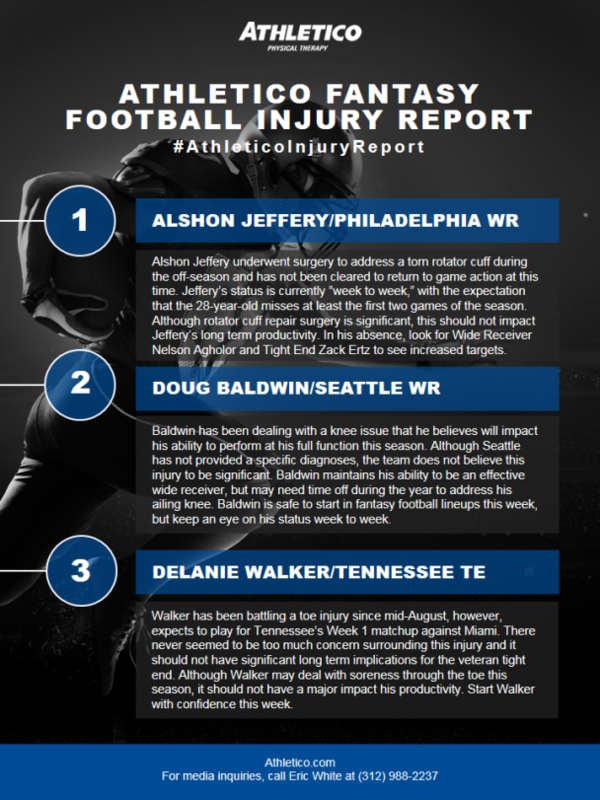 Deciding who to sit and who to start can be a difficult decision, which is why Athletico’s Brandon Bowers, PT, DPT, is providing tips through the Athletico Fantasy Football Injury Report. This report gives insight into player injuries throughout the league.